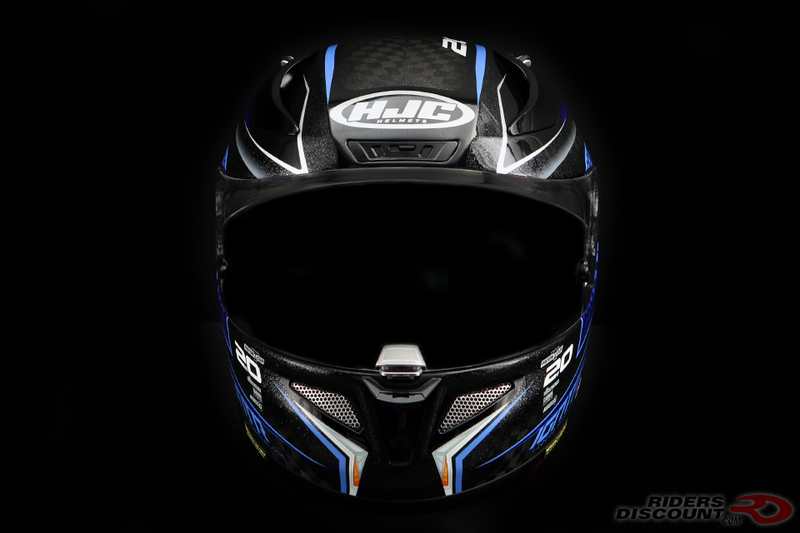 The RPHA 11 Pro is the top of the race helmet line at HJC. Standing for “Revolutionary Performance Helmet Advantages,” the RPHA 11 Pro was designed for both comfort and durability on the race track. 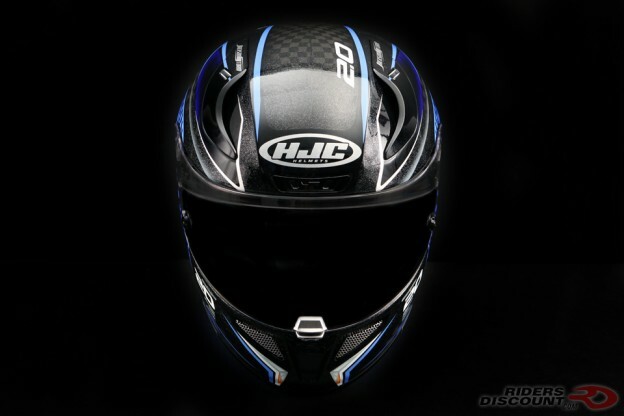 The HJC RPHA 11 Pro Jackson Storm Carbon Helmet features a blue and black color scheme on HJC’s special Advanced Carbon Fiber Shell. The RPHA 11 Pro has ten vents total, compared to the RPHA 10 Pro’s five vents. This new “ACS” Advanced Channeling Ventilation System features six intake vents and four extraction vents. The re-designed Max Air-flow Top Vents now incorporate rubber for easier adjustment while wearing gloves. 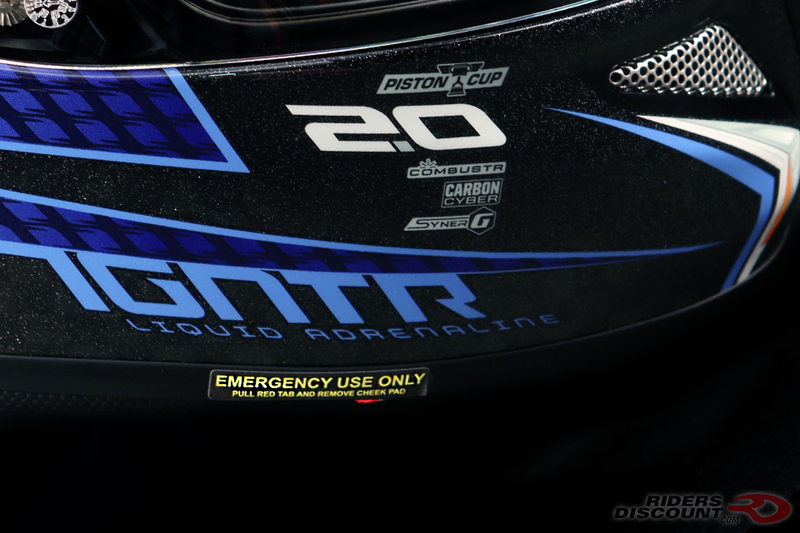 Rear exhaust vents work along with the rear wing to remove hot air, as well as reduce drag. The RapidFire II shield replacement system makes removing the shield easy (no tools needed). The shield lock securely holds the shield closed when latched, and is easy to release thanks to a one-touch system. A 2D dark smoke shield is included. 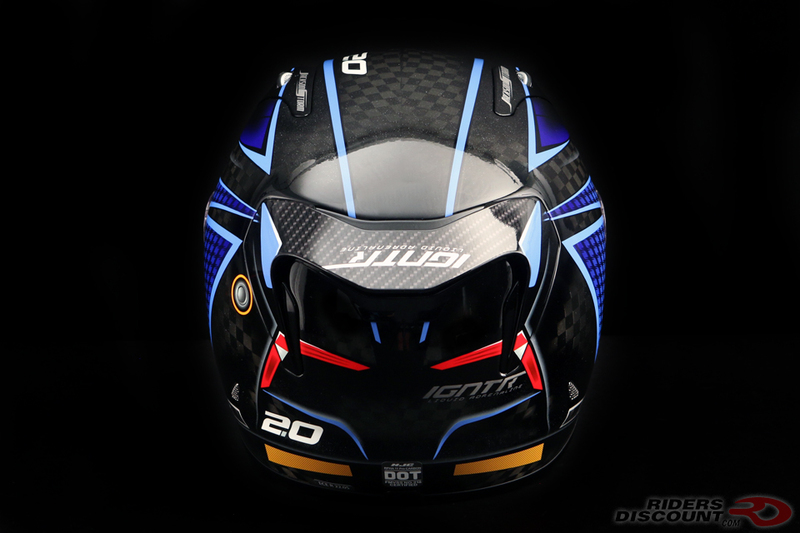 Inside of the helmet is HJC’s “MultiCool” cheek pads and comfort liner. The material is soft, moisture-wicking, and anti-bacterial. The padding is completely removable and washable. 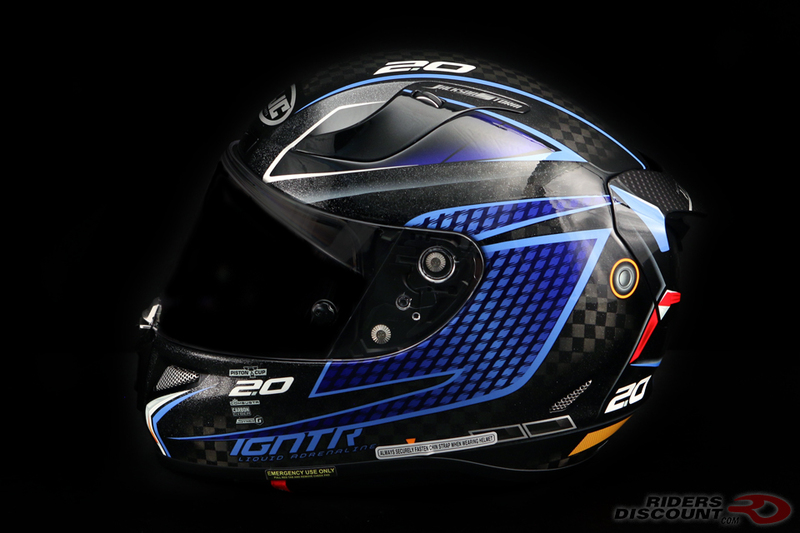 This helmet also includes a breath guard and chin curtain.